Finalista North Teas May Open Derby. - SASSY FOR CERTAIN (m/ Dual Rey) U$ 48.655,00: finalista NCHA Limited Non-Pro Futurity, Southern Open & Non-Pro Derbies, Music City Non-Pro Classic, Congress Non-Pro Classic; Campeão Region 5 Spring Non-Pro Derby Champion; Campeão Congress $10,000 Novice Non-Pro. - ERNEST T SASS (m/ Dual Rey ) U$ 38.248,00. finalista NCHA $10,000 Novice Open Super Stakes, Music City Amateur Classic/Challenge e Augusta All-Age $20,000 Non-Pro. NCHA Certificado de Habilidade. Seus filhos ganharam mais de $ 9,000,000, em Apartação, Rédeas e Working Cow Horse. 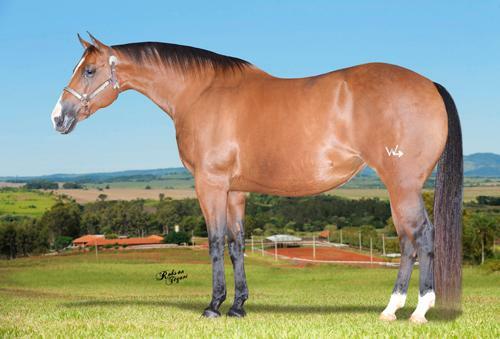 Entre eles: - BAYOU SHORTY - $ 231,500 Campeão NCHA Super Stakes. - DOC SOLENA - $ 211,994 - MISS SHORTY LENA - $ 174,899 Campeã Mundial NCHA. - BILLIES SHORTY LENA - $ 211,244 - SWEET SHORTY LENA - $ 114,276 Avô materno de : - SPOTS HOT - $ 527,010 Campeão NCHA Futurity 2004 - KD SHORTY - $ 233,171 - PEPTOCANDY - $ 154,000 Res. Campeã NCHA Futurity 2005.